Direct heat sealers are the perfect choice for sealing thicker materials. HS6P is our 6 inch Direct Heat Sealer with a 15mm seal, ideal for materials such as cellophane, coated aluminum foil, and Kraft paper. 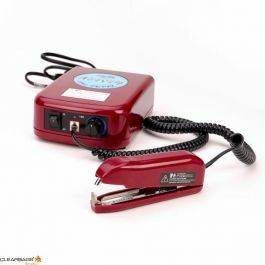 Portable and easy to use, this sealer works well for small, irregular, or extra long packaging. 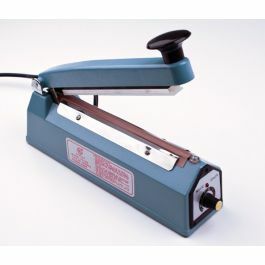 Our HS6P 6 inch Direct Heat Sealer is portable and features a 15mm width seal. Direct heat sealers maintain constant heat in both jaws, making them ideal for sealing thicker materials like cellophane, coated aluminum foil, Kraft paper, and mylar. Equipped with two PTFE coated, serrated jaws, this sealer is lightweight for travel and easy to operate. Simply insert material between the jaws, close for a few seconds and release. Suitable for small, irregular, or extra long packaging. 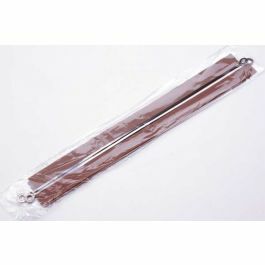 Larger bags can be sealed by working the sealer across in sections. Just be careful to not touch the jaws of the sealer as they get extremely hot. Temperatures can be set to either 215F or 350F. A 5-15 minute warm-up time is required.